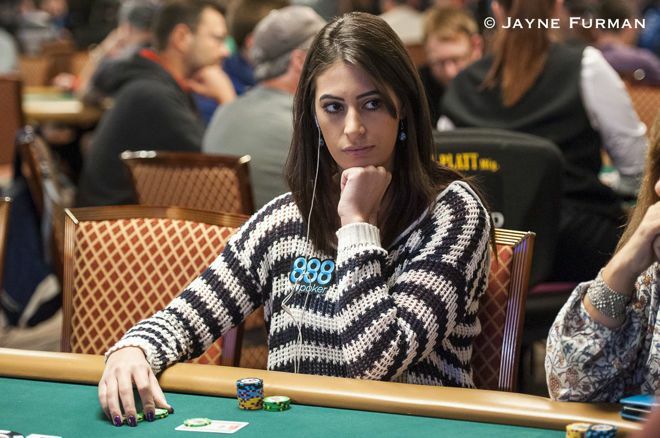 Vivian @visaliba Saliba shares six tips to help poker players better manage their bankrolls. Spending from your poker bankroll is like dipping into "company money," explains Vivian Saliba. Everyone knows how essential it is to practice smart bankroll management in order to be a successful poker player. Even though this might seem simple to do, many players — even very good ones — find themselves constantly struggling with their finances for long periods during their careers. Being smart with how you spend and/or invest your money not only can help you stay in action and even move up in stakes, but also can ensure you keep the money you have already earned playing poker. The fact is, even some of the most brilliant poker players have experienced the consequences of poor bankroll management — even Poker Hall of Famers. Stu Ungar, for example, by some accounts won over 30 million dollars in poker, yet thanks to other life leaks still went broke several times. On his website Scotty Nguyen talks about how he "has lost and amassed his bankroll numerous times in poker." And Mike Sexton has lost his fair share, too, as he talks about with Jonathan Little in their recent conversation on the topic of "How to Hold Onto Your Money." Here are six strategies that I have found useful when it comes to bankroll management, an important "skill" to develop for poker players. You should treat poker as a business. The money you use to play poker should be treated like "company money." It doesn't matter how much you've separated out with which to play, you should avoid spending your poker bankroll otherwise. You shouldn't be counting on this money to pay your bills. Therefore be smart about just how much you can reasonably commit to poker (or your "business"). If you take money out of the "company," it might make your business fail. After all, just like in business, money makes money in poker. I know it seems tempting to jump into a soft cash game with crazy action, even if the stakes are higher than you are properly bankrolled for to play. Or to enter that dream tournament with millions in the prize pool, even if the buy-in is too high for you to be able to afford not cashing. Unfortunately if your bankroll can't afford your losing, you should focus on sticking to your usual stakes. Otherwise, you might go broke and won't be playing any games at all, at any stakes. When facing variance — that is, when the inevitable downswings hit you — don't get rattled. Keep playing your A-game. I've seen it happen so many times that otherwise good players will go crazy and make bad plays because of tilt and money pressure. Remember that variance doesn't have memory. Losing before doesn't mean you will stop losing any time soon. Under no circumstances you should play a more reckless style or in higher games in order to chase previous losses and somehow "stop" variance. There is no shame in moving down limits. If losses have decreased your bankroll considerably, you should move down stakes until you have enough funds to play higher again. Knowing which games you perform better in will help you to select what to play. But if you don't keep track of your play, noting your results in all games and at all stakes, you make it harder to know just where you're profiting and where you're losing. Keeping good records of your play can help highlight which areas of your game need work in order to improve and make the most out of your play. There are many different types of software and apps to help you manage and learn from such data. 6. Save money on "poker expenses"
Live cash game players often make it a habit to pay for food, massages, and tips with chips from their current stacks. Besides the cost of these things — which can quickly add up — playing with a smaller stack may cause you win less money, such as in an all-in situation. Low stakes players in particular should be disciplined in this regard. After all, a 30-minute massage can cost around $60 USD, and if the game is $1/$2 that means you're losing 1 big blind every minute! Of course, you don't have to pay out of your stack, but even if you're not the cost remains the same. Bringing your own food and beverages is another way to cut these "poker expenses." All of these tips relate to the idea of practicing discipline, which in many ways is the key to success in poker. There are other ways to manage your bankroll as well, including selling action (something many professional players do). Just as you do when playing hands at the tables, try to stay smart and keep similarly focused when it comes to bankroll-related decisions you make. Good luck!